Properly I can’t call this a WiP Report since I’m between writing projects. But I’m still busy as you’ll see. First, I’m very pleased to announce that on September 29, I completed Fatal February, the second Calendar Mystery. I revised a draft 96,292 words long in 12 days. Now that’s what I call booking. When I finished, I did my version of the happy dance, sort of happy monkey hooting and armpit scratch. Like the first in the series, January Jinx, the novel offers mystery and romance in old Kansas City. And I’m very happy with it. Here is the front cover of Fatal February. Doesn’t my daughter do beautiful work? Other irons I currently have in the fire include the audiobook version of Cinderella, P. I. and Other Fairy Tale Mystery Stories, the second book in my fairy tale mystery series. Alyx Morgan, my producer/narrator and I hope to have it available by December 1. Besides these things, right now I’m helping to organize a Kansas City Local Authors Fair to take place at the InterUrban ArtHouse at 8001 Conser, Overland Park, KS 66204 from 6 until 8 on November 20. If all goes well, I’ll launch the trade paperback version of Fatal February during this event. And last, I’m gearing up to draft Mischief in March, the third Calendar Mystery, during NaNoWriMo 2015. Translation: National Novel Writing Month occurs in November every year when a whole bunch of novel fanatics like me try to write 50,000-word novels in 30 days. Mischief in March continues the story of Minty Wilcox and Daniel Price from newly met to newly wed and beyond in Kansas City, that could get downright deadly a hundred years or so ago. If you’d like to pre-order Fatal February, click on this link: www.amazon.com/dp/B017081JHM. If you haven’t read January Jinx, it’s available for only $.99 now through Halloween and only $3.99 thereafter. Click on this link to buy it: www.amazon.com/dp/B00HSSSBE4. “Better busy than bored” has become my motto in life, maybe even more after retirement than before. Here’s what has kept me busy (and certainly not bored) lately. But I didn’t have a lot new to add or too much to change this time through, just mostly tweaks. Somehow, though, I managed to add 7,000 more words. If I cut 10 percent–as Stephen King claims he always tries for in revising his books–that would bring the total down to 90,000 words. But we’ll see. Here’s a picture of Draft 4 on top of Draft 3. Please notice that the new draft only has chapter tabs, not a whole bunch of tabs for corrections that create a hula skirt effect. I hope the fifth and final draft of the book won’t require much so I can get it done fast and out soon. It’s feeling about right to me except for the last few pages. Still, I’ve had lots of fun with Minty Wilcox and Daniel Price in their second outing. Sparks and repartee just seem to fly when they’re together. Of course, there’s always something that slips by even the most cautious editor. For instance, recently, I pulled a sentence or two out of the book to use as an example in a writers’ group. And I discovered I’d left out the verb, unintentionally. Yikes. My early readers will tell me what else I messed up, I’m sure. 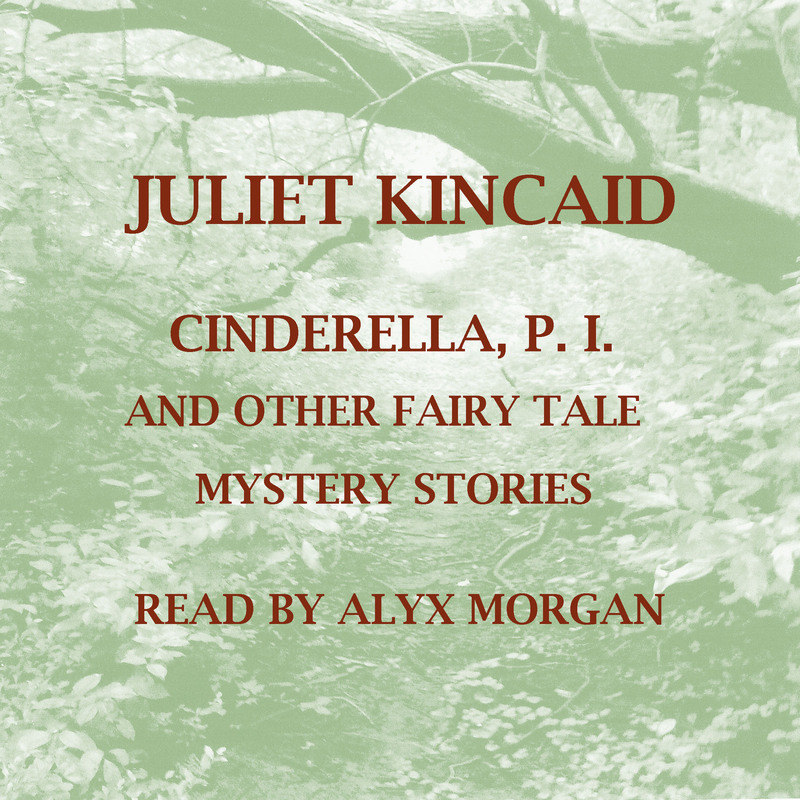 Several weeks ago I posted a request for auditions for Cinderella, P. I. and Other Fairy Tale Mystery Stories through Amazon’s ACX. Just about when I’d decided no one would bite, a wonderful lady named Alyx Morgan sent me a reading of the first five minutes of the first story in the collection. And hearing it, I found myself smiling even though I know that story very well. So we signed an agreement through ACX and she’s working on the audiobook. I’m really loving what Alyx is doing, making all my characters coming alive and all so different from each other. Meanwhile, for assorted reasons, I decided to design a completely new cover for the audiobook instead of modifying the existing cover. That means this self-publisher has to climb yet another learning curve, this time in Photoshop. Huff, puff, get on up that hill. But practice makes perfect and all that stuff. Here’s a peek at the audiobook cover. Yeah, I know the title isn’t quite centered. (I’ll fix it.) What do you think about it otherwise? I’ve been checking some stats for Fatal February, which I completed yesterday morning [the third draft, that is, on July 3]. At least I finished the current draft and rewarded myself by going to see Mad Max: Fury Road. It was terrific. What a trip. But when I look at the stats, I’ve concluded I didn’t do so badly after all. It’s 93,000 words long for one thing [about 50 pages longer than Draft 2] and I started it on April 22. How many days? Let me count. 55 days. Well, that’s a hoot. It’s 1,691 a day, which is just about the NaNoWriMo 1,667 a day goal. I’m not counting the abundant brainstorms I did throughout the draft. I only had one brief log entry in the month of June, but I did put at least a few words down in my handwritten journal every day. Still, I think the next draft should just involve tweaks of what’s there instead of writing lots of new scenes as I did with this draft. I guess it was draft number 3. I need to break and do other things before I start through the book again to do Draft 4. Boy, howdy, how time flies. When I recently checked my files, I discovered that it’s been a year and nine months since WiP Report # 12 in which I reflected on my decision to quit trying to go the traditional route of getting published with the help of an agent and editors. There’s nothing like the devil on your tail or at least time’s winged chariot bearing down on you to speed matters up. And it certainly helped that I’ve been writing with the aim of being a published author since 1986, so I had about ten novels and other completed manuscripts in my files. 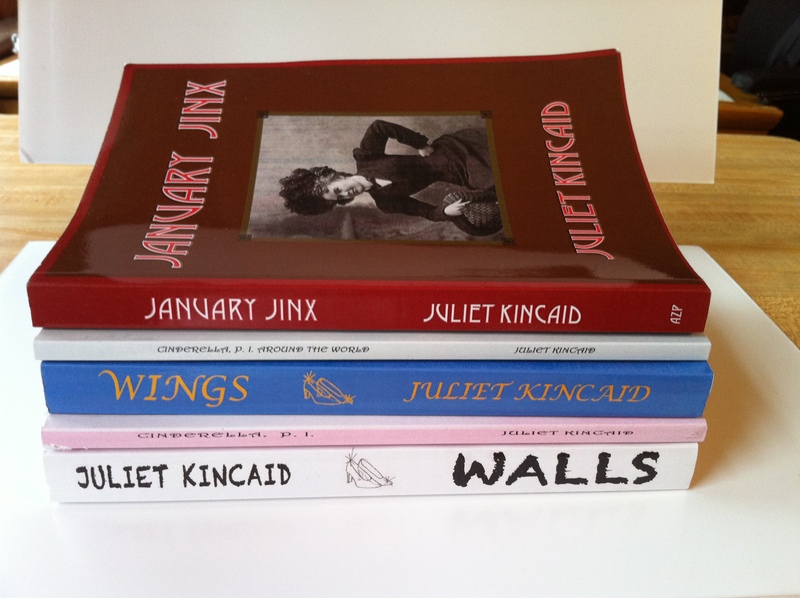 Still, I’m a little amazed to report that in the year between October 9, 2013, when I published Walls, a Cinderella, P. I. Novel as a Kindle eBook and October 9, 2014, I published three novels altogether including January Jinx, the first in a historical mystery series; two story collections, and an additional short story. All this added up to more than 300,000 words or the equivalent of 1,100 print pages. Plus in National Novel Writing Month, November 2014, I drafted a 50,000 novel set in a community college and tentatively called Fall into Murder. 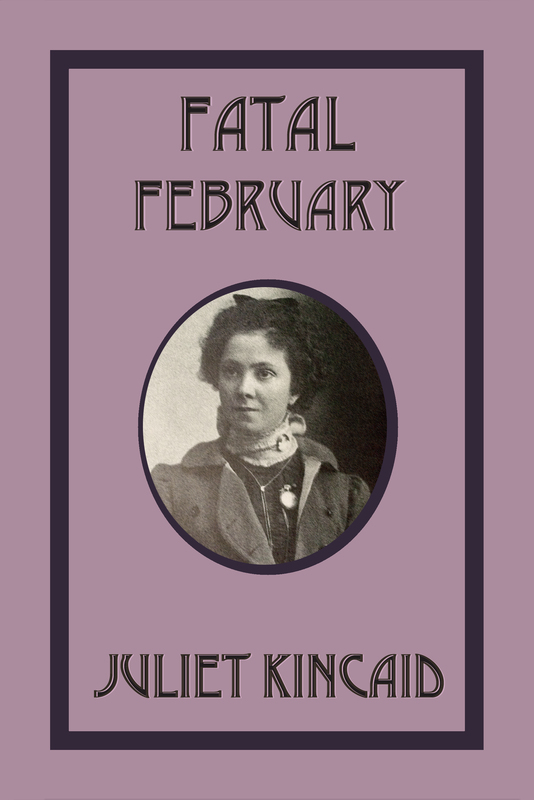 In the months since December 1, I’ve written another draft of Fatal February, the second Calendar Mystery. I missed my February 2015 deadline to publish Fatal February, but still I aim to have it out this year along with a third Cinderella, P. I. story collection, possibly a collection of essays about mystery fiction that I originally wrote for this blog, and a stand-alone thriller called Death in Shining Armor. Besides the sheer output, I’ve also taken on more of the tasks of self-publishing such as doing some of my own covers and formatting instead of hiring someone to do those things for me. Perhaps most important, I’ve gained a lot of confidence in myself as a writer and self-publisher. For example, I used to get all bent out of shape with “hi tec anxiety,” but not so much anymore. I still beat myself up sometimes about my low sales figures, but they’re improving. FYI: These five books are all available as Kindle eBooks and trade paperbacks at Amazon.com. If you enjoy these novels and stories, please review them. Even a few positive words help. Till next time. Best, Juliet. P. S. Didn’t my daughter do a beautiful job on the cover of January Jinx? 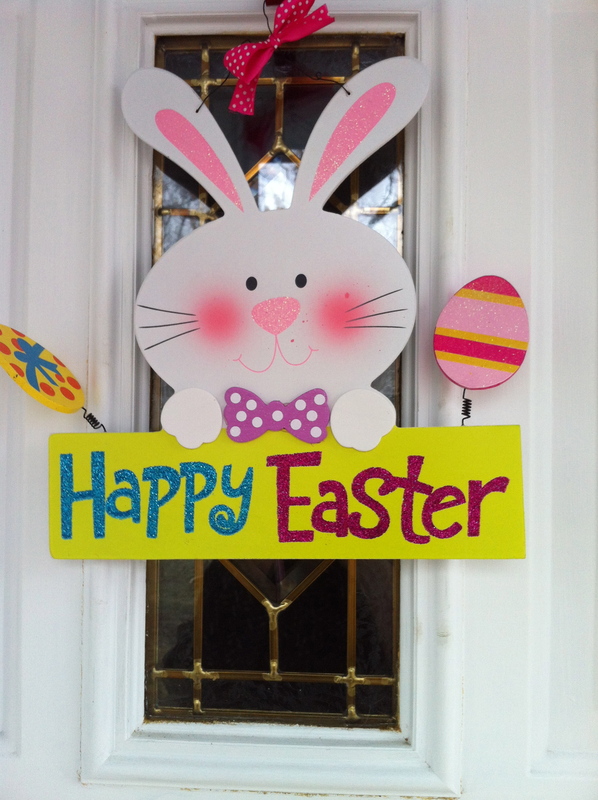 Not long ago my friend Joan who lives next door to me bought me a Happy Easter plaque to hang on my front door. It looks great and adds a cheery, seasonal note to the house. 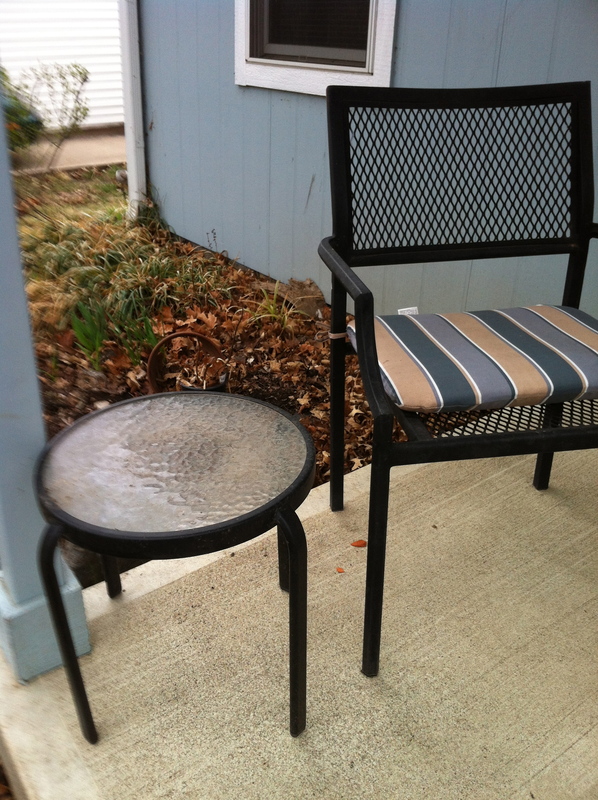 But I got to looking at the little table next to the chair on the front porch and decided the table looked really bare and a little sad, taking away some from the bunny plaque. 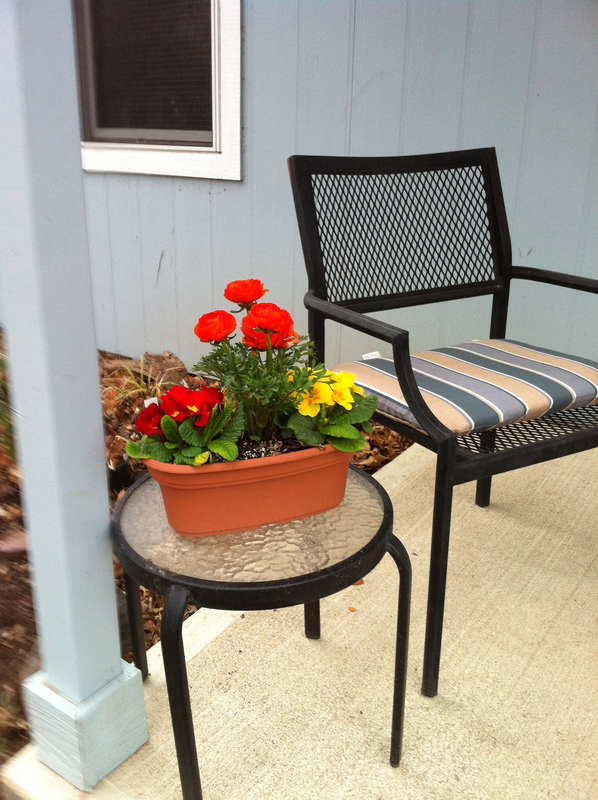 The table and my porch overall needed something else, a pot of pansies maybe. Now I have to confess that spring is my favorite season, so full of surprises. Purple crocuses pop up and bloom seemingly overnight. Forsythia quickly go from drab grayish brown clumps to firework sprays of yellow. Suddenly while I wasn’t looking, magnolias have lifted their pink bowls to catch the soft spring rain. And inspired by this beauty, I head to the garden center to buy maybe $300+ worth of herbs, vegetable plants, and flowers. But the household budget is tight this spring and I have to limit my plant buying to enough annuals to fill a few hanging plots and the essential herbs: basil and parsley. (Happily, my chives have come back in the pot where they live and I’ve already used them in coleslaw.) Due to the chronic depredations of rabbits and squirrels on tomatoes and lettuce in spite of the wire cages I surround those plants with, I no longer have a vegetable garden. Still, the other day I decided to stop by the Ace Hardware on my way home from the library to see if they had any plants for sale yet and if so, to see if I could afford a little something for the table on my porch. Sure enough when I pulled up outside the hardware store the other day, I saw an array of pots and planters filled with colorful flowers, not just pansies, but other kinds, too. Out of the car in a flash, I paced up and down the display and settled on a small planter containing a yellow primula on one end, a red primula on the other end, and a gorgeous orange something I don’t know the name of in the middle. The planter cost $15.95, but I had a $5 rewards card. That would help. Tenderly I picked the planter up and carried it inside to the cash register. I presented my rewards and Ace cards to the young man behind the counter. He rang it up and handed me a receipt for $3.99. “That’s really it?” I said. Grinning, I carried the planter I’d gotten for free out of the hardware store. I love spring. It’s so full of beautiful surprises. What’s going on with Juliet? So now comes the time to get busy “blotting a thousand lines” (or more) because rewriting is a vital part of writing, the part that “makes the work come alive,” to quote Nancy Pickard, author of several popular mystery novels including Kansas Book of the Year, The Virgin of Small Plains. During rewriting, you “re-envision” the work and bring it closer to your original intention, obscured or lost in the heat of creating the rough draft. Though often the writer comes up with new material during the rewriting phase, generally this last stage involves more analysis than creation, less the right side of the brain than the left. While new writers often think they can’t write unless they get it right the first time, most professionals rely on rewriting to bring their work up to par. Effective, interesting, and vital writing is clear, coherent, concise, concrete, correct, and varied. Rewriting helps you give your work these qualities. Okay, okay, I’m convinced, you say. So how many revisions should I do? As many as it takes, the mentor answers. If you’ve completed a work that you first drafted largely in your head, such as a flash fiction short story, you might not need many overall revisions. On the other hand, many pros freely admit to doing up to twelve major revisions of their novels. The average romance author does two and a half to three drafts, but Nancy Pickard says that she rewrites virtually up to the day of publication. To rewrite a piece of fiction, you cut, add, change, move, and combine. But verily I say unto you, the greatest of these is CUT. 1) To keep up your momentum and improve your chances of completing your novel, work on it everyday. 2) To minimize the number of corrections to make later in the process, initially format your manuscript in the correct form for submission later on to an editor or for production as an eBook or POD. 3) Follow the rules of punctuation like putting periods and commas inside quotation marks, etc. 4) For ease in rewriting, make separate files for all the chapters of the work. 5) If you use Microsoft Word, go to the Authoring and Proofing Tools in the Preferences menu, and in the Spelling and Grammar menu, click on “Show readability statistics.” Run your spell checker on each chapter as you complete revising it. The information will be especially valuable to you in later phases of the revising process. This document, for example, has 4% passive voice (much higher than my usual fiction percentage of 0%), 63.1% Flesch Reading Ease (considerably lower than my usual fiction reading ease of 85%), and 8.7 Flesch-Kincaid Grade Level. No, I’m not related to that Kincaid, and my fiction averages from 3.5 to 5.2 grade levels. 6) Cultivate good stylistic writing habits like avoiding passive voice and employing showing writing instead of telling writing. Still, generally, as John Braine advises, it’s best to write the rough draft as fast as you can and take as much time as you need for revision. Danielle Steele, for instance, takes six months to research a novel and six months to rewrite, but she blasts through the rough draft in a month of crippling twenty-hour days. When you’re ready to start rewriting your novel, be patient and don’t just dive into revising. Instead, sit down and read the book through. Then skim it and take notes on what you see and patterns you notice. For instance, does your novel have a clear “Who wants what?” established very early. Does your protagonist clearly “drive the plot car” overall? Is the outcome clear at the end? Especially pay attention to the big issues of structure. For instance, does your novel have a clear beginning, middle and end? That is, does it have a hook in the opening and a plot point near the end of the beginning part to set up the major story line? Is there some sort of important development in the middle section of the novel, that is, about halfway through? Is there a plot point near the end of the middle part of the book that sets up the end of the book? Do some math to see where these plot points fall in relationship to the overall length. Consider your narrative line. Once you start your story, do you continue in a straightforward line or do you switch back and forth in time, from past to present to future to past? Think about your audience and this maxim: The larger the market you want for your novel, the easier you want to make your novel to read. That is, employ the K.I.S.S rule especially when you’re writing popular fiction and want lots of people to read your book. Consider the type of novel you’re writing and reader expectations for that genre. If you’re writing a categorical romance, for instance, do you have at least one love scene? If you’re writing a mystery, is there a body or at least a crime? On the basis of your observations, prepare an outline or write a narrative synopsis. Advice: Do not consider your outline or synopsis as engraved in stone. As you write a second draft and concentrate on content, you might want to CUT all or part of ground clutter (action that leads nowhere), sections of dialogue that run on too long, unneeded characters and everything related to them, sections of description that run on too long, scenes that contribute only slightly to the plot, extended sections of background or exposition, unneeded transitions between scenes, sections that tell the reader what to think instead of letting them draw their own conclusions, unneeded or overlong passages of thought, unneeded material between the climax and denouement, and any element that impedes the pace. On the other hand, you might need to ADD details that explain later action, descriptions to make a character or setting come alive, character development and motivation, background information, more dialogue, significant action, reminders to the reader, foreshadowing, clues and red herrings, symbols and metaphors to highlight theme, and transitions between scenes. Often you will want to CHANGE from telling writing into showing writing, from indirect to direct speech, from indirect to direct thought, or from one point of view to another. Sometimes, too, you might find that, in drafting, you got in a rush and tried to do everything at once. So you might need to MOVE introductory exposition to later in the story, exposition closer to the action it relates to, and thematic commentary or epiphanies closer to the end. You might also need to move scenes and plot points. Finally, you might need to COMBINE one character with another or one scene with another. Once you have the content about right and can think of nothing much else to do to the work, let gentle, sympathetic, knowledgeable people (preferably not family members) read your novel and give you feedback on what it’s like to experience the work for the first time. When you get your novel back from your readers, look over their comments and rewrite to improve the content at least one more time. Now you will complete the PEP phase. That is, you will P(olish the style), E(dit for grammatical correctness), and P(roofread for misspellings and typos). At this point it’s a good idea to put all your chapters into a single file, so that you can spot glitches in formatting your eBook or POD versions as you edit. For concision, CUT redundancies; one, two or even three adjectives out of every three; there is/are, which is/are, it is . . . that; excessive or elaborate dialogue tags; and most adverbs. For clarity and coherence, you might need to ADD transitions and dialogue tags. For clarity, vitality and ease of reading, CHANGE long sentences and paragraphs into shorter ones; big, fancy words into smaller ones; uncommon words into more usual ones; over-used words into less common words; passive voice into active voice; states of being verbs into action verbs; progressive verbs into straight present or past tense; general into specific; abstract into concrete; unclear pronouns into nouns; and fuzzy word choices into just the right words. For clarity and variety, occasionally MOVE phrases from their usual spot into more unusual ones. For coherence and variety, occasionally COMBINE many short sentences into longer ones and many simple sentences into compound or complex ones. But as Strunk and White say in The Elements of Style, break any of these rules rather than commit a barbarity. Always edit a completed manuscript with extreme care because mechanical errors and misspellings betray you as an amateur to agents, editor and readers. If you can’t spell, learn! Use a spell checker (but still proofread for homonyms, like “too,” “to,” “two”). If you don’t know how to punctuate, take a review course. And no matter how sharp your editorial skills, always proofread your material several times before you submit it or publish it. In the PEP phase, you might find it helpful to read your manuscript aloud. (James Michener and his editor read one of his big novels to each other five times.) Run your spelling/grammar checker and get your overall stats on readability, etc. It’s also good to use “find and replace” to locate your personal trouble spots (one of mine is over-using the word “then”). If you have fellow writers who proofread well, you might ask them to proofread our work. Or you could hire a professional proofreader or copy editor. As Jack Riley topped the final rise before town, he saw the buzzards circling above him. Not this time, he thought, a half smile on his face. He had just been through eighty miles of the roughest dessert anywhere . . .
“The doctor says to keep doing what you’re doing and come see him in three months,” said my doctor’s nurse over the phone a few days after I’d had a follow-up blood test to the one of March 21, 2014, that showed me at high risk of developing diabetes. Now, if you’ve read my original blog post of March 26, 2014 on the subject, you know that my initial response to the question “Diabetic? Who, Me?” was “No way” quickly followed by some research and the realization that I had indeed developed some symptoms of pre-diabetes including blurred vision, a ravenous appetite for sweets, and injuries slow to heal. And if you’ve read my follow-up blog of June 26, 2014, you’ve heard about some progress that I’ve made toward reducing my risk of developing diabetes. Three months later, I’m happy report even more progress. Following the eating plan designed just for me by a registered dietitian, I’ve lost a little more weight for about 12% of my starting weight. My BMI is now 22.7, well within the normal range. These stats sound good to me, so I’ve switched from weight-loss mode to weight-maintenance mode. The other day it just felt so good to put two pairs of slacks and a pair of shorts in the Goodwill giveaway bag because honestly I can’t keep them up anymore unless I tightly cinch my belt, not a stylish look. Right now, I’m wearing a new pair of cropped pants in the next size smaller than most left in my closet. And the belt I’m wearing is four notches in from where I used to buckle it. Hey, let me get up and do my happy dance. Okay, that’s done and I’ll also report that my vision is no longer blurred and I don’t have any pain in my hands or even much stiffness. (T. V. has improved so I’m knitting more and that helps.) I did crave sweets the other evening, but I quickly dispelled the craving by eating a clementine. All that said, I must admit to some disappointment when I actually read the report on my Hemoglobin A1c level. It has now dropped out of the high risk for diabetes zone into the increased zone, but only by two points, from 60 to 58. Still that’s progress. And I will continue to do what I’ve been doing. Here are some things that have helped me make progress. My daughter and I limit eating-out to three times a month. Most of our meals we prepare at home. One of my friends complimented me on the discipline required to lose weight. But honestly, it mostly just takes time: time to plan meals using my eating plan, to grocery shop, to fix meals, to clean up afterwards, and to record the calories and the carbohydrates I take in. A tip for success from me to you: Weight Watchers and Real Simple recipes help me get nutritious, enjoyable meals on the table fast. Boy, howdy, can that man write! Oddly, at first I couldn’t find anything to suit me. The next alphabet mystery? There are so few letters left now that I thought I’d save it a while longer. The latest, just published, from the brilliant Canadienne? I thought I’d save that one, too, since it will be another year before the next one. The next choice of my book club? Well, no, I like to read those closer to the discussion date. And so, going lower in my stack, I came upon Craig Johnson’s Any Other Name. The acknowledgments set me back briefly since Johnson says right up front that this book takes place in the winter and at least three of his previous Walt Longmire mysteries include hip-deep snow and harrowing blizzards. I needn’t have worried, though, because Johnson uses winter especially well in Any Other Name. In fact, it might be my favorite for reasons I won’t describe because I’m not given to spoilers. But I bet you’ll love it, too. But anyway, Johnson’s great personal charm that showed up even in the acknowledgments in giving floral names to his helpers for the book got me through my misgivings to the first page. And there Walt Longmire’s voice hooked me and I knew I’d found the book I wanted to read next. I never regretted my choice from first page to last. The eleventh in the Walt Longmire series (counting the delightful novella Spirit of Steamboat) centers on the suicide death of an old friend of Lucian Connally, the retired sheriff of Absaroka County, Wyoming. As Walt and Lucian look into this, other possible crimes emerge and the whole case becomes very complex. The weather, too. Meanwhile, Walt’s daughter Cady is about to have her first child way across the country in Philadelphia and from time to time she calls him to remind him he must be present for this event. This is not easy when he’s. . . . Never mind. You’ll find out. In keeping with my standard blogging practice of sharing what I learn from the books I read that help me write my own, I’ll offer this. Johnson is a master of the set-up and follow-through. So when Walt and Lucian are stuck waiting for a long, long coal train to pass on page 1, you can be sure that trains will figure importantly in the plot of Any Other Name. Boy howdy, do they ever! For your additional pleasure, I’ve attached my first blog installment about Craig Johnson’s work, originally posted in August of 2011, when I was working on Walls, a Cinderella, P. I. Novel (now available as an eBook at www.amazon.com/dp/B00FQLQ2WI and as a trade paperback ISBN 978-0-9899504-1-1). “Boy, howdy,” as Walt Longmire would say, is Craig Johnson ever a wonderful story-teller. I’ve heard Craig Johnson speak twice, once on the book tour for Junkyard Dogs, the sixth in the series featuring Wyoming sheriff Walt Longmire, and the second time for Hell Is Empty, the seventh. Both times were delightful. Both times he visited here, he wore jeans, a casual shirt, boots and a cowboy hat, reflecting a genuine need since Mr. Johnson lives on a ranch and starts his work day with chores before he holes up to write. On his first visit, he’d recently returned from France where he’d received the Nouvel Observateur Prix du Roman Noir. (His mysteries are very popular in France.) While in Paris he had an encounter with a group of French school boys that I think of as “Le Cowboy at the Louvre,” a story Johnson told with great humor and flair. I’ll give you highlights of Mr. Johnson’s other presentation at the end of this discussion. Before I start, here’s an update on the WiP. 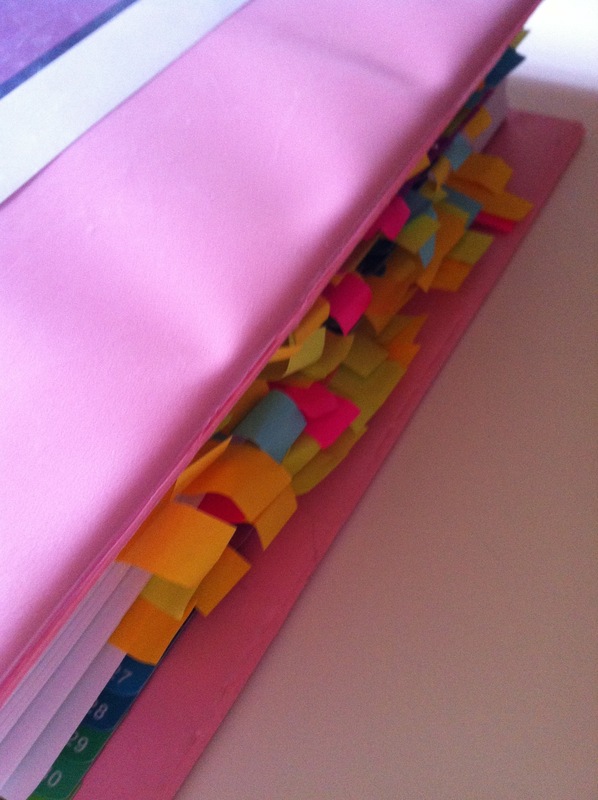 This week I finished the fourth draft! A few whistles and a little applause, but don’t go on too long because I still have lots of work to do. One thing I’ve noticed is a big difference between the tone, voice, and style of the first half of the book and much of the second part. The former is pretty dark, formal, fairly literary. The latter is lighter, informal, chattier. In my fifth and I hope, final draft of this book, I really need to make those elements consistent throughout the book. Right now, though, I’m wondering whether to go light or dark, but a comparison/contrast of Junkyard Dogs and Hell Is Empty gives me much needed guidance. Junkyard Dogs begins out-and-out pratfall funny as Walt Longmire tries to take in the fact that an old man had been up on the roof of a house on an icy midwinter day and secured by a rope to an Oldsmobile when his grandson’s wife drove off. Hell Is Empty begins in a much darker way with Walt Longmire feeding a hamburger to Marcel Popp, one of three murderers the sheriff is helping to transport. Popp has just threatened to kill Longmire for the twenty-eighth time so far. Aside from the regulars, many of the characters of Junkyard Dogs are comic as well. For instance, Geo Stewart, the old man hauled off the roof and dragged down the icy road, waves to a neighbor as he slides by. Stewart’s grandson Dwayne seems pretty dim and Dwayne’s wife Gina initially plays the vamp. There’s nothing funny about the antagonists in Hell Is Empty. Besides Marcel Popp, the sheriff and his deputy are transporting Hector Otero, a murdering gangbanger from Houston, and most sinister of the three, Raynaud Shade, a Crow Indian who has visited the Bighorn Mountains before. The action of Junkyard Dogs continues in the comedic vein quite a ways into the book with the discovery of someone’s missing thumb in a cooler as well as a revelation about Walt’s former English teacher that I won’t share because I don’t want to spoil the surprise. In Hell Is Empty the action escalates and the body count eventually is very high. Not surprisingly given the title, Walt must travel into hell before the book’s over. Both books are winter tales, but the weather provides much more grueling obstacles for Walt to conquer in Hell Is Empty than in Junkyard Dogs. In many ways also the plot of the sixth book is grounded in reality while in the seventh Walt goes on what is, in many ways, a mystical and spiritual journey. The settings of Junkyard Dogs tend toward the interior and the manmade. Several important scenes take place in a hospital, for instance. Settings also include a huge junkyard guarded by two wolf-dogs and filled with trashed cars, stacked one atop the other and going decade by decade back in time. More of the scenes of Hell Is Empty take place outside where wind, darkness, and cold threaten Walt’s life. As in Randy Wayne White’s Deep Shadow, nature is an adversary in Hell Is Empty. Both of Johnson’s books are first person narratives, that is, told by Walt Longmire in Longmire’s voice. But inevitably the more comedic characters and plot of Junkyard Dogs make that book lighter. When I planned this installment, I thought I should just stick to Junkyard Dogs because, long-time lit major that I am, I kept trying to trace all the illusions to Dante in Hell Is Empty, not just in the overall plot but in the characters’ names. I mean, there’s a waitress named Beatrice, for goodness’ sake, and another one named Virgil. I was going crazy doing that. I don’t mean to imply that Johnson sprinkled in the literary allusions superficially because he didn’t. The references are integral to the plot. He set it up from the start by having Walt’s deputy, Santiago Saizarbitoria, reading a battered copy of Dante’s Inferno that Walt later takes on his journey. The style of the book doesn’t come off as literary. And Johnson does what all good writers do when they rework stories like journeys to hell. He transforms it and makes it his own timeless story, yet of and for our times. I’m thinking that since I’m reworking fairy tales, in particular those known to most people through Disney movies, I should stick to the lighter side. In other words, I should stick to the lighter tone, style, and voice of Junkyard Dogs instead of the darker side of Hell Is Empty. And finally, as promised . . . The second time I heard Johnson speak, the word had gotten out about how great he and his books are and the place was packed. Again, he displayed his wonderful sense of humor as he told us about his involvement with the production of Longmire, a series coming to A & E in 2012. It sounds great. I’m sure I’ll love it and I bet you’ll like it too. This closing comment from 9/11/14. I have loved the Longmire series and thought Season 3 especially strong. And so the news that A & E has cancelled the series disheartens me. However, at this time, it’s possible that another channel will pick the series up. Darlene Deluca, my friend and fellow writer, is answering some questions about being a writer on my blog today. But first here’s some background about Darlene. She writes contemporary romance and women’s fiction and likes to explore relationships – what brings people together or keeps them apart. Her intent is to bring to life interesting characters that readers can relate to in real-life situations that combine a little fun, plenty of drama (with perhaps a tear or two), and big helpings of friendship, love and self-discovery. She hopes that her books will leave you either cheering or sighing with a satisfied smile as you turn the final page. Darlene released her debut novel, Unexpected Legacy, in January 2013, and it advanced to the quarterfinals in Amazon’s Breakthrough Novel Award competition. Darlene has been a reader and writer since childhood. With a degree in Journalism, she started her writing career as a newspaper reporter, and later moved into corporate communications before settling into the world of fiction writing and romance. She writes day or night, whenever the words/mood/deadlines strike, and almost always has a cup of tea and a bit of dark chocolate nearby! I am about two-thirds done with the second book in my small-town trilogy, the Women of Whitfield. The first book launched last August, so I’m running a little behind, but I’m hoping to have the new one available by the end of the year. The trilogy is about three friends who live in a small, fictitious Kansas town, and how they support, nudge, tease, and encourage each other through the ups and downs in their lives. This just in – the working title of the new novel is “Her Second Wind.” It’s the story of Dana who is picking up the pieces of her home and life after a tragic tornado. I try to make my novels truly life-like. I want readers to connect and identify with the characters, to feel their emotions and live their actions/reactions. I don’t want far-fetched plots or unbelievable circumstances. Nor do I want to write dark, tragic tales in which at least one primary character has to be killed off in order for the story to be considered a “good” book. I want readers to feel satisfied after investing the time to read one of my novels. I guess I write the kinds of stories I do because that’s what I like to read. And I’m fascinated by relationships. I like stories that include some drama, some humor and a little romance, and touch on the things that real people deal with, such as parenting issues, career decisions, financial troubles or family angst. I also enjoy stories that have multiple plots woven through them, so I try to do that as well. So far, my stories fall into the following categories: Contemporary romance (Something Good), sweet contemporary romance (Meetings of Chance), fiction with romantic elements (Unexpected Legacy), and women’s fiction (The Storm Within). I write to get the stories out of my head. And to create. I enjoy the process of making stuff up! I love that I can create characters from nothing, and get to decide their situations and background and personalities. I prefer to create my own towns and settings, too. It’s a departure from my Journalism background, and it’s the best part of writing fiction. I generally have one idea or situation that pops into my head. Then I work with that and expand it to figure out what might make an interesting plot and what kinds of issues and characters would make sense for that particular story. From there, I go to work on making the characters into believable people. 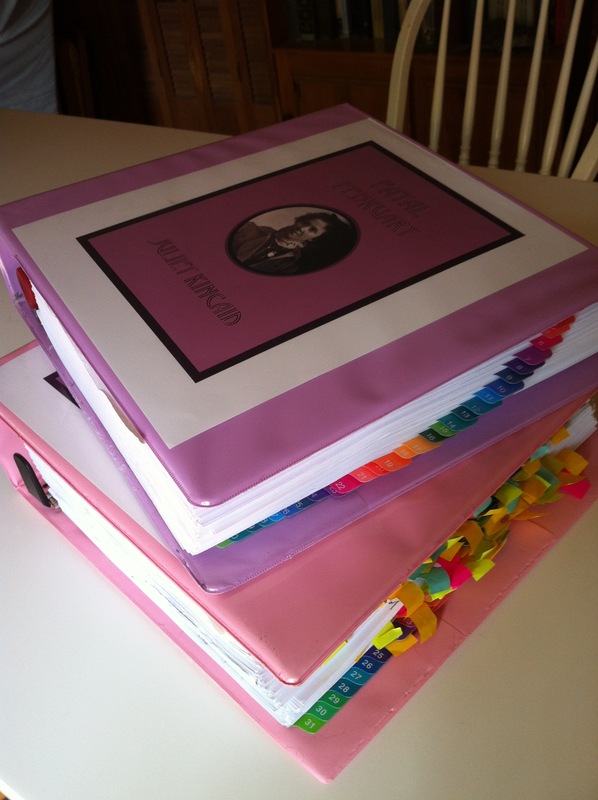 I’m what writers call a “pantser,” working more by the “seat of my pants” than a strict outline of chapters or scenes. The story unfolds as I write it, though I most often have the ending in my head. My newest novel is a contemporary romance titled Something Good. It’s about two people living two very different lifestyles, who find common ground beyond their attraction to each other. Crippled by the past, Mandi Evans feels unworthy of a better life – until Lane Whitmore walks into the diner where she works six nights a week. An urban planner, Lane is looking to revitalize the rundown part of town where Mandi’s hidden herself away. He can’t help but notice this diamond in the rough as well, and what starts as simple good times grows to . . . something more. With Lane, Mandi feels alive again, and she makes a bold decision – one that could chart her course on a path to redemption. Unless keeping her plan from Lane turns out to be Mandi’s biggest mistake of all. Lots of things! Reading is a favorite pastime, of course, and my book club that meets once a month and reads a wide variety of both fiction and non-fiction. My primary social life consists of lunches out with friends. I’ve attempted to garden, but have almost given up due to constant battles with the wildlife around my house. But I love flowers, so I enjoy visiting botanical gardens. And I am quite fond of warm, sunny days at the beach! Thank you so much, Darlene, for sharing your insights into your writing. Here are links to Darlene’s website (http://www.threewritersofromance.com/all-about-darlene.html) and to her Facebook page (https://www.facebook.com/pages/Darlene-Deluca/282385088481413), so you readers can keep up with news and new developments in this author’s life.